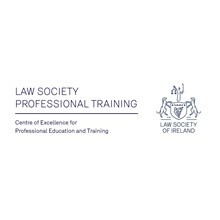 Law Society Professional Training is a centre of excellence for professional education and lifelong learning; a one-stop-shop for all solicitors’ legal education and professional development and management needs. It incorporates Law Society Skillnet and Law Society Finuas Network. We offer continuing professional development training (CPD) to solicitors, barristers and other interested parties. Topics covered are legal, skills and regulatory matters. We run seminars, certificate and Post-Graduate Diploma Courses.